Leo Cronin, a dyed in the wool Boston MA Irishman and co-founder of New England Wargamers Assn (NEWA) regularly ran skirmish level Irish Rebellion games for many years using his unique Irish Rebellion rules which (with a minimum of exaggeration) were recorded on two sides of a 3x5 index card. They were always a blast – mostly because of Leo's devilishly devious scenarios and imaginative game-mastering – think of "free kriegspiel" under the influence of eight or nine Guinness beers. The civil war of 1922 has always appealed to me. There's something uniquely quaint about a conflict in which the artillery is on loan from the British army, and in which the machine gunner in an armoured car hesitates to fire at the enemy for fear of 'ruining the look of the street'. Unfortunately, the only Free State figures available are produced by Reiver Castings… and I haven't yet been able to bring myself to order any. Blutarski is correct. I once played in Leo Cronin's Irish game at a Historicon. Each player had their own agendas and not many figs either. I think I had like 4 IRA men. Rules were easy and the game was a blast. Chaotic and lots of fun. Im not interested in the period myself but wouldn't some of the same sorts of figures people use for the 1920s/30s English Civil War games work for this? Incidentally did you know that Arthur Guinness was a noted Anglophile (his most famous product being a London porter) and Unionist, who opposed to any movement toward Irish independence Ireland to remain under English control. Back on topic I can recommend Footsore Miniatures, for quality and service. ….. You'll have to take that up with Leo. ….. Arthur Guinness was a native Irishman brewing beer in Ireland in the 18th century. His political outlook of the day on Irish independence might not be well received in certain present day circles, but Guinness still seems to be going strong and sells a very great deal of beer in Ireland. Lots of those "Very British Civil War" figures can be used, yes. Also some American gangster toughs work for Fenians with tommy guns (not that they would have too many). As Reactionary suggests, it is rather tiresome when Americans, who appear to lack their own heritage, claim that of the Irish, especially whilst having no idea about Irish culture or History! Tiresome, and in a way rather amusing in a pathetic, oh dear how sad, kind of way. Chouan – LOL. I think your opinion about Irishness in America would change if you were to spend any time in Boston, Massachusetts. I doubt it. I've been there. I've never met so many people pretending towards Irish heritage who neither understood it, nor actually knew anything about Irish history! Apart from cod-Nationalist myths of course. Look at these clowns, for example. 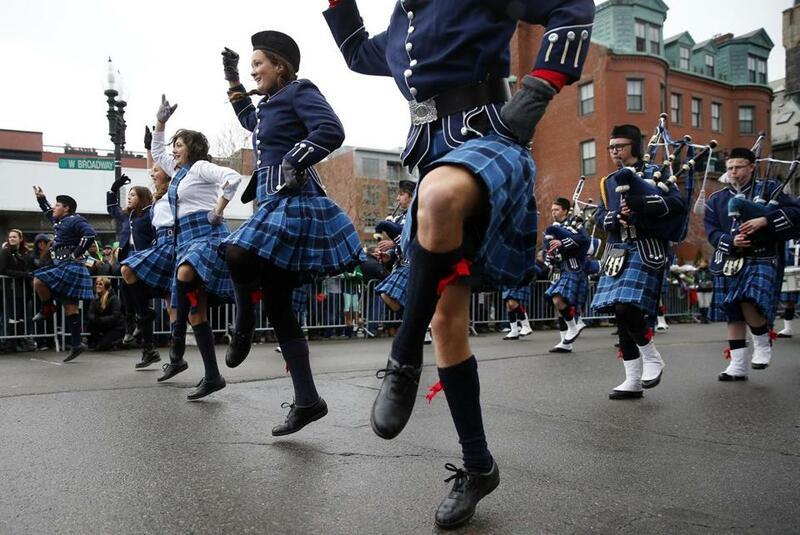 They're dressed in an English image of Scots Highlanders, yet think that they're being Irish…. Being the expert you are on Irish culture and heritage, you should definitely go on a lecture tour to Boston next St Patrick's day and set those people straight, Chouan. Start at the Eire Pub on Gallivan Blvd in Dorchester, then Costello's Tavern on Centre St in Jamaica Plain and wrap up your lecture tour at the L Street Tavern in South Boston (E 8th St). I'm sure all the local patrons will be quite contrite and apologetic about claiming a faux-Irish ancestry. Some of them may actually fall to their knees before you in thankful genuflection and beg forgiveness … they'll be the really drunk ones. Make sure your medical coverage is updated before you go, though. First try at trolling, Chouan? I rate it a 4 out of 10. Extra credit for the pictures. Are you suggesting that "Irish-Americans" (to me they're just Americans) are more Irish than an Irish person? Surely the evidence of the pictures is enough to show that these people really don't know what Irish culture or heritage is! Go for it! Who needs kneecaps at our age? In any case, Blutarski, could you explain to me why those clowns are dressed as Scots Highlanders in British army uniform style? 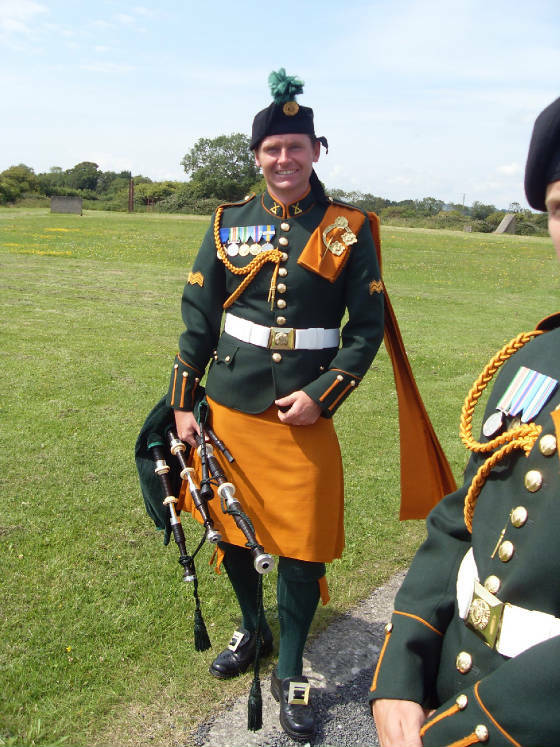 Even this example, from the Irish army, is based on the British army's interpretation of Irish dress rather than actual Irish dress. But even in these cases the dress is distinctively not Scots dress, even though there are similarities. No tartan, for one, no sporran, no spats/gaiters, no Scots doublet, no feather bonnet (and no sunglasses!). Well anyway the dog is an Irish wolfhound. There are lots of figures around that can be used for the Irish war of independence. Footsore makes a whole bunch of really good ones. There are many other civilian types around that work well for the IRA . I've seen lots of references to Reiver figures but I've never got any. How are they? Congratulations Chouan, you've discovered that St. Patrick's Day celebrations in the US are not authentic reflections of Irish culture, but really just excuses for people to have parties. I hope you'll publish your groundbreaking research in a respectable journal soon, the situation is in dire need of correction. I've discovered in my own groundbreaking research, over the course of various travels, that people being proud of their ethnic heritage while not necessarily having a strong underpinning of historical knowledge is not a uniquely American thing. Quel surprise, right?! Ironically, the breed was only saved from total extinction by an order from Oliver Cromwell that they should not be exported from Ireland, as numbers were dwindling so badly. 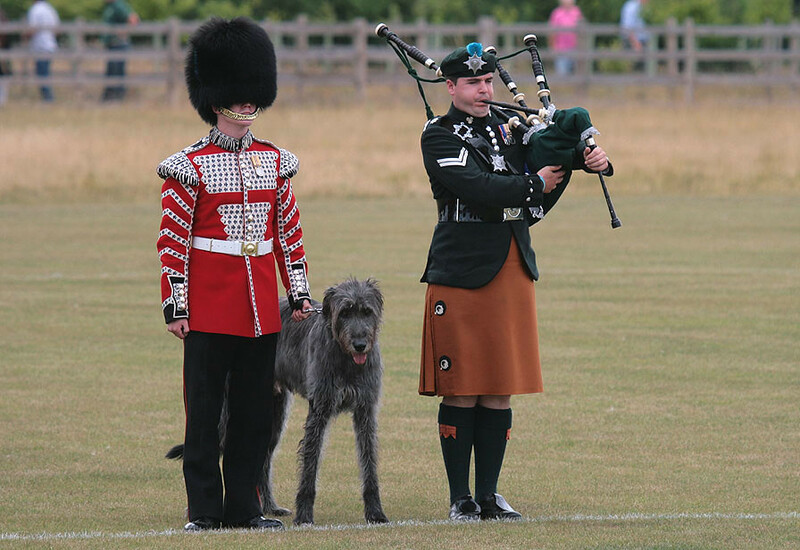 In the mid-1800s, a retired British Army officer began breeding them, but could find so few with any pedigree (four in all, I think I read somewhere) that he had to incorporate other "large" breeds, such as Great Danes, Deerhounds, Borzois and Mastiffs.